A clear illustration of an urgent need for change was the tragic events at Grenfell Tower in 2017. Dame Judith Hackitt’s Independent Review of Building Regulations and Fire Safety identified a need for change in areas including regulation and guidance; roles and responsibilities; standards, procurement and competence. I am proud of the work our Institution has done to date on the response to the review. 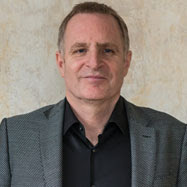 Led by Hywel Davies, CIBSE technical director, CIBSE is closely involved with the review of building regulations and guidance and will be participating in further consultation. Initially highlighting concerns about the definition of roles and responsibilities in the construction and operation of buildings, CIBSE contributed to the responses to the Independent Review submitted by the Royal Academy of Engineering (RAEng) and the Construction Industry Council (CIC). The Society of Façade Engineering (SFE), which operates under the auspices of CIBSE also prepared a detailed response to the review. As built environment professionals, we are responsible for ensuring that the lessons from this tragedy have been learnt. To positively affect and react to change, communication is vital. It is essential that we have an ongoing dialogue, not just between the institution and its membership, but across industry. 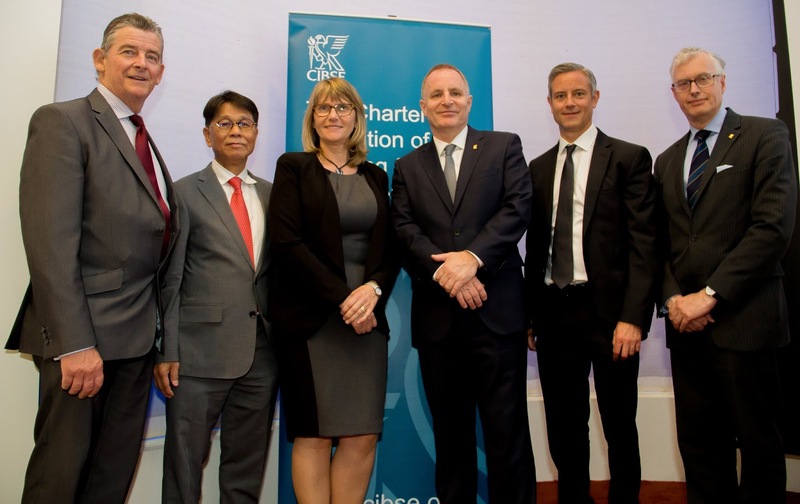 In my first month as President, I sought to gather together the Chairs of CIBSE’s Societies and Special Interest Groups to develop an understanding of how we can work collaboratively to provide the most value to members and the public. CIBSE has 18 special interest groups with over 50,000 members, over half of which are not CIBSE members. As President, I believe it is my duty to help facilitate conversation on a practical level. It is only with effective communication that we will be able to understand the needs of the society in which we operate and adapt to mitigate the challenges of the future. Despite understanding the benefits of communication, there is often a tendency to work within disciplinary silos. I feel that in the face of developing technologies and an uncertain political and economic climate, the boundaries between disciplines are becoming increasingly blurred. I aim to work with the groups, societies and regional committees to develop projects which illustrate how effective collaboration can benefit the industry. I have challenged them to look at what we can do together to move relationships forward, but I would also like to hear your approach to collaboration and examples that you might have where cross industry conversation has led to a positive outcome. It is time to recognise our shared aspirations and take collective action in realising them. In the face of technological advances, our working lives and workplaces are undergoing rapid transformation. Working alongside the Society of Digital Engineering, it is remarkable to hear about the design processes which can be streamlined to open up entirely new opportunities for innovation. Carefully managed, these technological advances could help us to celebrate and utilise creativity and resourcefulness. In a changing landscape, we must also review the way we engage with industry and the public. Last year saw the launch of Build2Perform Live, welcoming 170 leading industry speakers and 1400 delegates. The CIBSE Technical Symposium is recognised as a global platform for the sharing of ideas, research and expertise and the Building Performance Awards and Young Engineers Awards recognise people and projects that demonstrate engineering excellence. It is events like these which spark debate and showcase innovation, illustrating the relevance of our work as an institution. I am currently working with the CIBSE Board, Trustees and staff to develop a new strategic plan. By interrogating the ‘why,’ ‘how’ and ‘what’, we can begin to refine our core message and amplify this for the benefit to all. We hope to provide a strategic context to the volunteers and staff which carry out the work of the institution. The plan will be developed in consultation with CIBSE Council and discussed at our Council meeting in October. I am keen for members to be included in this process, ensuring it is both representative and relevant. In developing the strategic plan, it is important to recognise the ongoing work of the CIBSE Inclusivity Panel. As I stated in my address, diversity of opinion is an essential part of reaching agreement for collaborative action, aligned with a common set of values.